There are many important assumptions about the criminal justice system that we tend to take for granted: every accused person has the right to a fair trial; the punishment should always fit the crime; prosecutors are more concerned about protecting the rights of the accused than they are about “scoring a win.” If the American justice system worked as intended, these assumptions would all be correct. But a recent report issued by Human Rights Watch reveals that when it comes to federal drug crimes, prosecutors often use heavy-handed tactics to rob defendants of their right to a fair trial. Federal prosecutors have enormous power over which charges a defendant will face, and by extension, what their sentences will be if convicted. In 97 percent of federal drug cases, defendants plead guilty because prosecutors threaten to pursue lengthy sentences if defendants choose to take their case to trial. Prosecutors have this leverage because of mandatory minimum sentencing laws and the option of additional charges and sentencing enhancements based on prior convictions. Human Rights Watch found that federal prosecutors often use the threat of unreasonably long sentences to coerce defendants into pleading guilty. Those who choose to take their case to trial and lose face sentences that are, on average, 11 years longer than they would have been with a guilty plea. Sometimes the punishment for taking a case to trial is a de facto life sentence. Take the case of a 53-year-old Texas woman with no previous criminal record. Prosecutors offered a plea deal of 17 years in prison if she were to plead guilty to dealing meth and to having guns in her house. Because she refused the offer and took the case to trial, she received a 45-year sentence upon conviction. Because prosecutors are given this much power, judges often have to dole out sentences they believe to be unduly harsh. Mandatory minimums and other factors essentially do not allow judges to use their own discretion. Hopefully, this Human Rights Watch report will fan the flames of an already heated debate over sentencing reform. 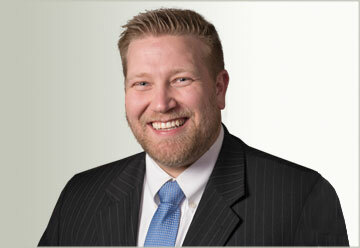 Until or unless things change, however, defendants need to have a strong advocate in their corner. That’s why anyone charged with drug crimes needs the help of an experienced criminal defense attorney. Two of the most important questions in any criminal case are: What evidence do prosecutors have and how reliable is it? The answer to the second question largely depends on when it was asked. It used to be the case that eyewitness testimony was as good as gold when it came to securing a criminal conviction. It was pretty hard to mount a solid criminal defense against a witness who had supposedly seen the crime and could positively identify the defendant. But in the last few years, numerous studies have shown that eyewitness testimony is often much less accurate than once assumed. For instance, the manner in which police conduct lineups and other suspect-identification procedures can unintentionally bias witnesses and lead to wrongful convictions. Advancing neuroscience research is starting to show that even memory itself is less reliable than we think it is. This point was particularly highlighted in a recent experiment by researchers at the Massachusetts Institute of Technology. Researchers first trained a group of mice to be fearful of one particular spot in a maze. They did this by electrically shocking the mice each time they ran through the specific area. Next, they found a way to take this fearful memory and implant it into mice that had never experienced the shock and had therefore never learned to be afraid of the particular spot in the maze. What researchers discovered is that mice with the implanted memory began to avoid the shock area of the maze. Those mice had never experienced the shock, but the memory implanted in their brains made them believe they had. Obviously, no such experiment has been performed on humans. However, the results of this study show that memory is both fallible and elastic. Therefore, eyewitness testimony by itself cannot always be trusted, even when witnesses are sure that they remember the details accurately. If you are facing criminal charges, you can’t afford to take chances. An experienced criminal defense attorney can carefully examine the evidence against you and help you understand your legal rights and options. If you are here, you probably need with criminal charges against you. 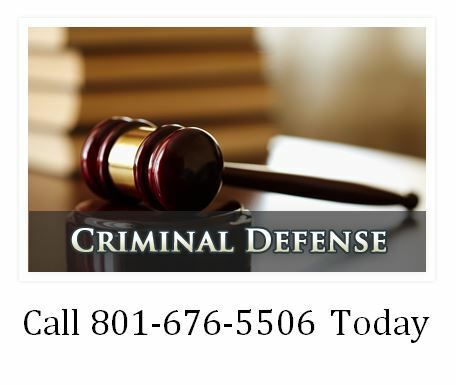 Call Ascent Law now for your free consultation (801) 676-5506. We want to help you.